Last season we partnered with Veritas and completed our first radio advertising campaign with 98.5 The Sports Hub – a flagship radio station for the Patriots in 2016/17 season. We could not have asked for a better conclusion to an awesome year with the Patriots winning their 5th Super Bowl title! We’d like to think that we were a good luck charm! 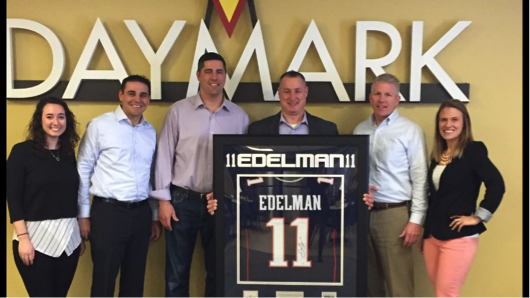 This campaign generated lot of attention from prospects and clients – many of whom got to share special game day experiences with us at Gillette Stadium. Thanks to all who were part of this project and everyone who gave a shout out to us after hearing our ads on the radio.